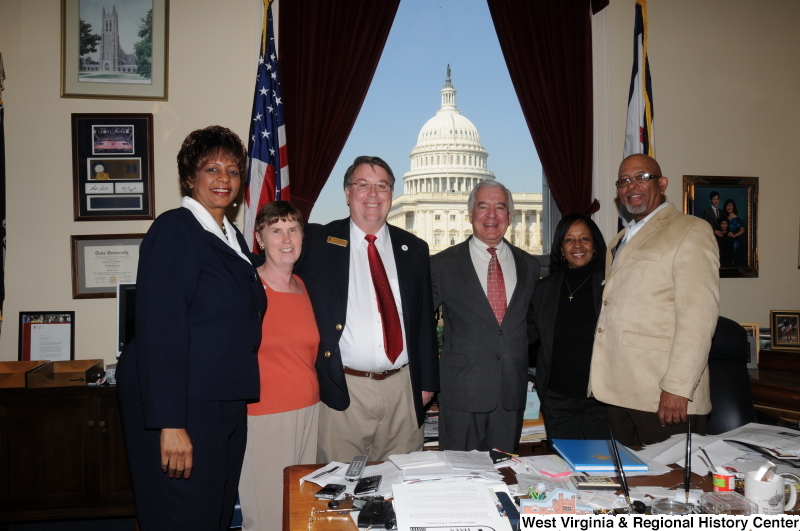 Congressman Rahall stands in his Washington office with two men and three women. 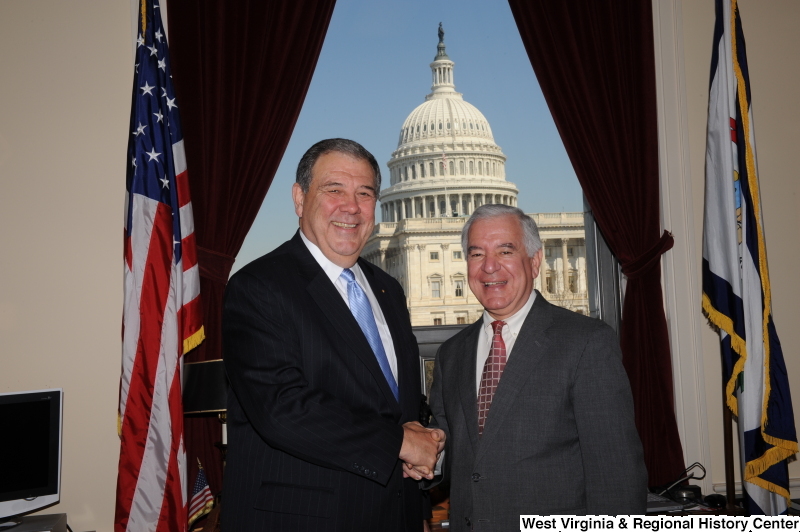 Congressman Rahall stands in his Washington office with a man wearing a dark pinstripe suit and light blue tie. 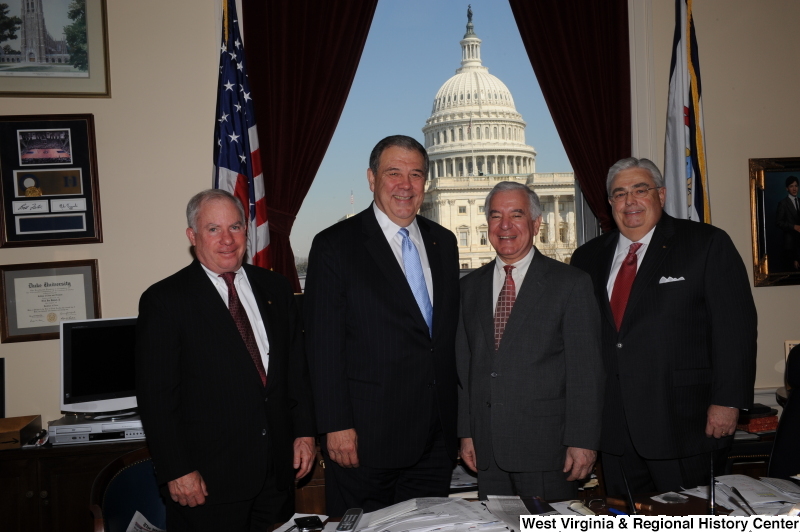 Congressman Rahall stands in his Washington office with three men wearing dark suits. 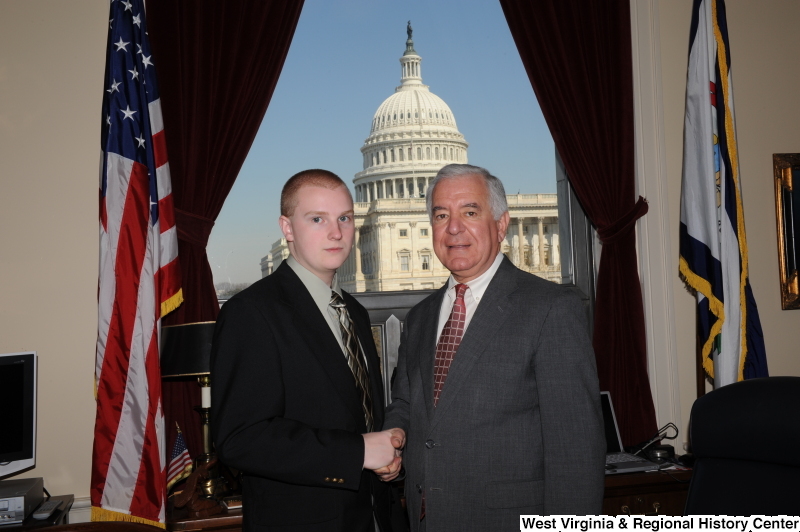 Congressman Rahall shakes hands with a young man in his Washington office. 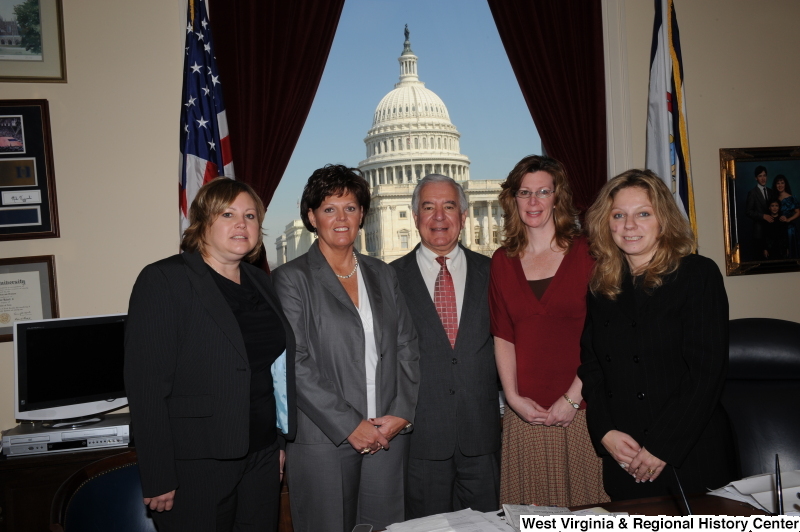 Congressman Rahall stands in his Washington office with four women.